Point Utrecht Bastion is one of the 14 bastions of this fortified city. It is located at the farthest end of the East of the Galle Fort and its lengthy wall ends here at this bastion. In the 18th century it had 6 canons when it was under Dutch and an inscription is engraved on it in Dutch. The bastion is also named after the hometown of the first Dutch clergyman. 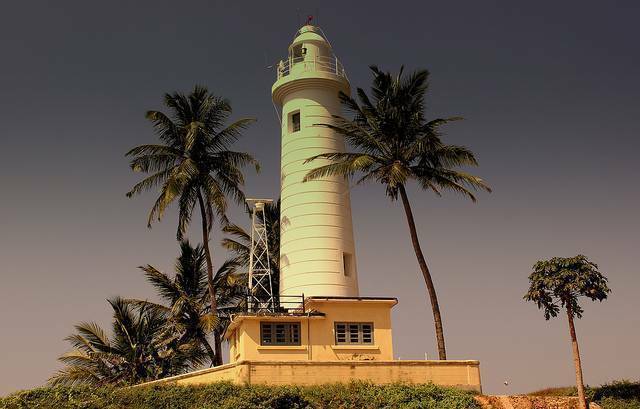 The light house which was built in 1938 after the destruction of the first one is located here. Visitors can also make a visit to the Flag Rock, the Clock Tower and some cafes from here. The Dutch cafe is well known among them.